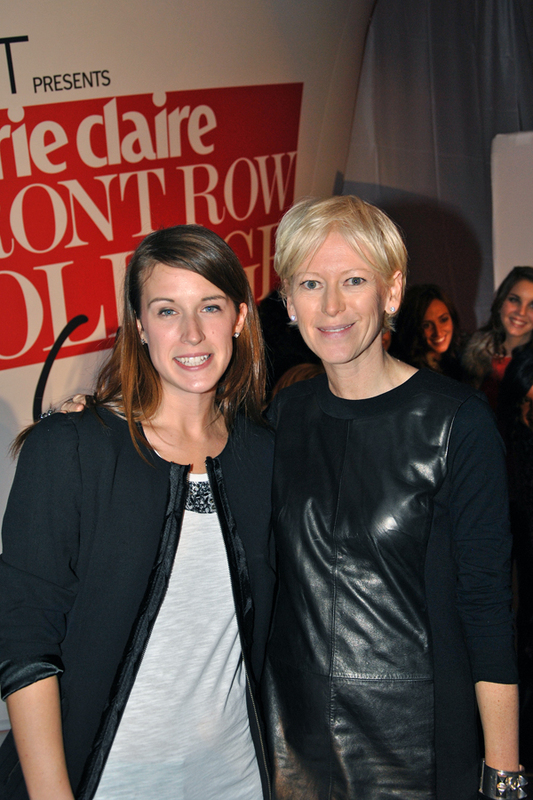 The ever stylish Joanna Coles (Editor in Chief:Marie Claire). 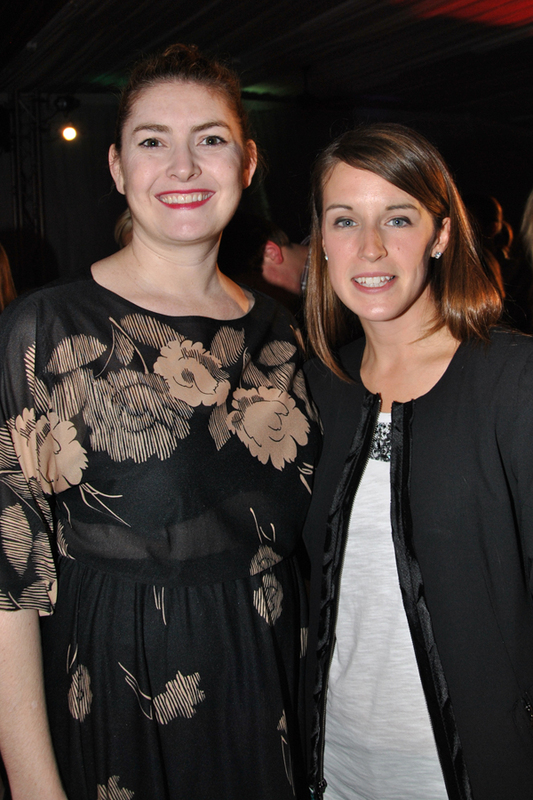 With Abby Gardner, Site Director of Marie Claire.com, who was wearing a gorgeous vintage dress she picked up in NYC. Earlier in the night I had tweeted this photo (HERE) and Marie Claire tweeted me back saying they loved my nails. Turns out it was Abby who tweeted me! I got a chance to talk with her a little bit about nails and vintage clothing shops. She told me that she had picked up her dress at this cool vintage shop called Shareen Vintage. I really need to stop by next time I'm in NYC to check the store out. Karen from Where Did U Get That did a post on the store (HERE) and I instantly fell in love! 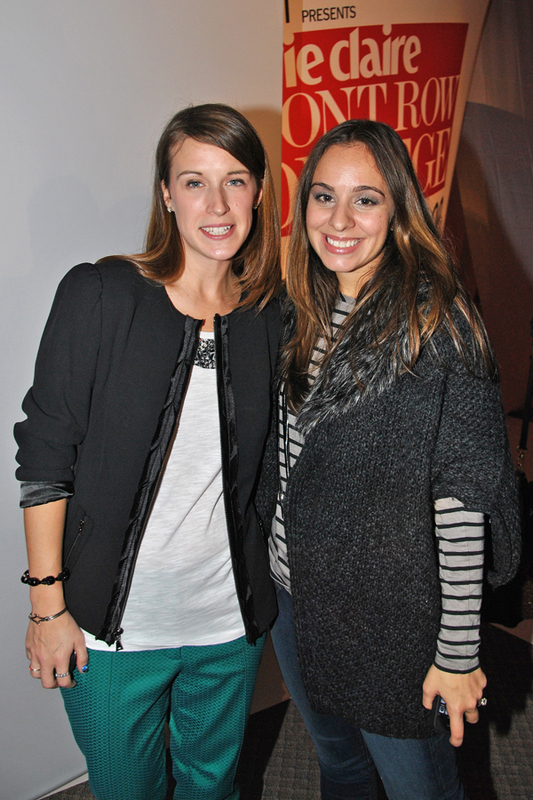 Andrea who is the Manager of Digital Content Producer for LOFT and who I had been emailing with about the event. 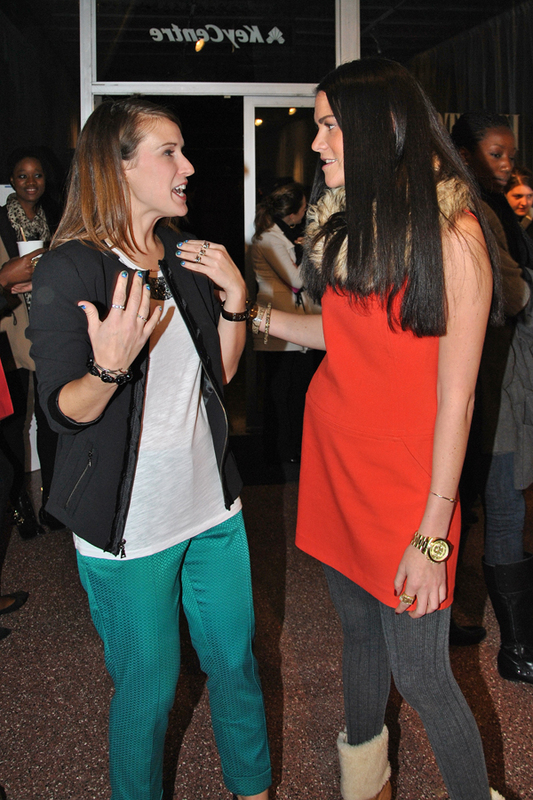 Chatting with Alia Ahmed-Yahia, LOFT Chief Style Director, about fashion of course! I loved her boots but sadly forget where she said she got them from- a UK store is all I remember. The Tuesday before the show I was at LOFT shopping when I heard a girl say my name. When I turned around, she introduced herself as Alia and said she worked for LOFT. I thought she was a model when I first saw her and some of the other girls at the LOFT store who were shopping. I thought it was funny she didn't mention what she did at LOFT! When I saw her on Thursday and realized who she was I almost died. She seriously has my dream job! 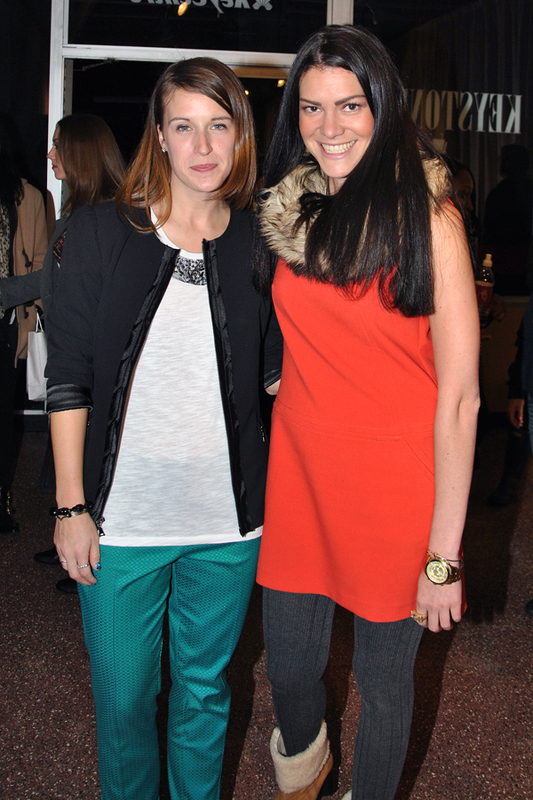 I absolutely adore this girl and can completely understand why she is in the position of Chief Style Director. The girl has impeccable style, is so incredibly nice, down to earth, funny, and relatable. She is the type of girl that anyone could instantly be friends with. On top of that she is completely transforming the look and feel of LOFT into something that younger woman would want to wear. Bravo! Don't Mel and I look so cute- we coordinated without planning it! I feel so fortunate to have had the chance to meet all of these amazing woman and so gracious for the invite to come and experience the LOFT/Marie Claire Front Row Challenge fashion show. 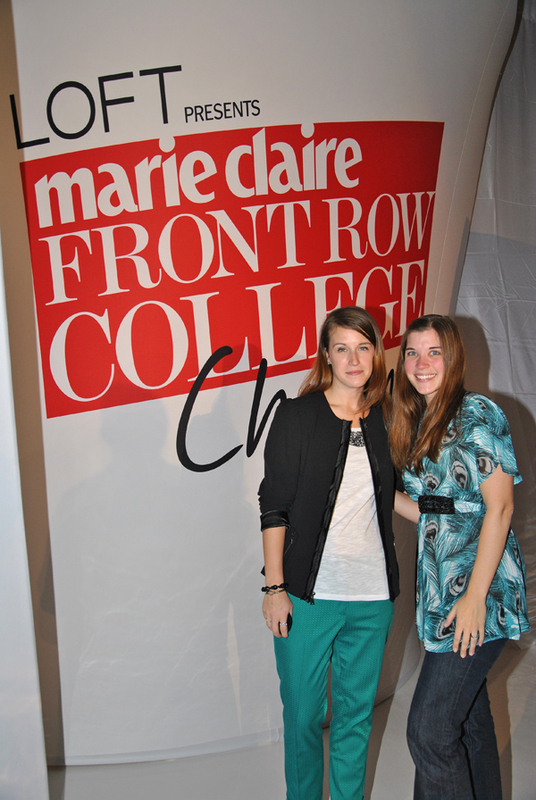 I had a wonderful time and want to thank LOFT, Marie Claire, and Rimmel London for bringing fashion to Penn State! looks like you had a blast! I'm loving the colour and length of those pants too! and may i add that i love this version of your header! very clean yet eye catching! Sounds like so much fun...and getting to discuss nails and vintage clothing shops...is there any other better conversation?! You look great, love the pants, thanks for sharing!